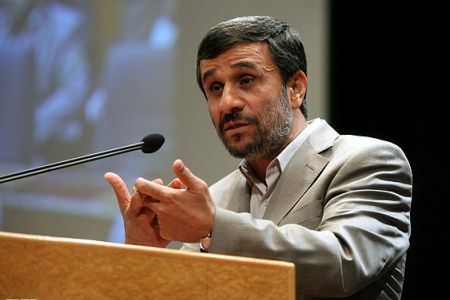 Iranian President Mahmoud Ahmadinejad says Western media hyped the September 11, 2001 attacks to pave the way for the US-led invasion of Afghanistan and Iraq. "What was the story behind September 11? In the space of five to six days, and with the aid of the media, they swayed public opinion to the point of considering an attack on Afghanistan and Iraq permissible and a right [for themselves]," he said in a televised speech. The president went on to add that while 3,000 deaths had been announced, no report containing the names of these victims had been released. "Presently, more than 110,000 people [have been killed] in Afghanistan and over one million people have been killed across Iraq. But they will not allow [the figures to be made public]. How? [By] using media and fabricated news," he was quoted by IRIB as saying. The Iranian president made the remarks on Saturday at a ceremony in Tehran marking the eve of the National Press Day. Ahmadinejad said Western media had enabled the US to mount its campaign against Iran's nuclear program. He said that the media had helped the US which has amassed thousands of Atomic bombs to claim another country might move towards building an A-bomb. Tehran argues that as a signatory to the Nuclear Non-Proliferation Treaty and a member of the International Atomic Energy Agency it has the right to peaceful nuclear technology.